Jorge Lucaya is the managing partner of AZ Capital. 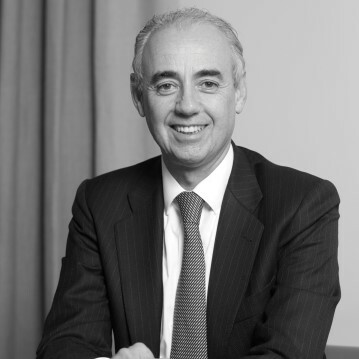 Previously, Jorge worked as CEO of Morgan Stanley Spain (1991-2003) and was responsible for the Iberian M&A department of Chase Manhattan Bank (1984 – 1990). 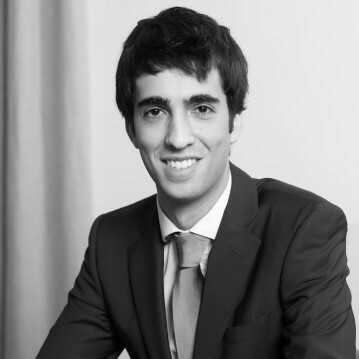 Jorge holds a degree in Geography and History from Universidad de Navarra and a MBA from IESE, Barcelona. Xavier Escudero is a partner of AZ Capital. 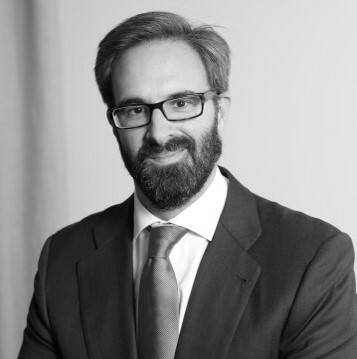 Prior to joining AZ Capital, Xavier worked in Morgan Stanley’s Investment Banking Division in London and Madrid, where he focused on European energy companies and Spanish M&A. Xavier holds a degree in Business Administration and MBA from ESADE business school, Barcelona. Víctor Mata is a partner of AZ Capital. 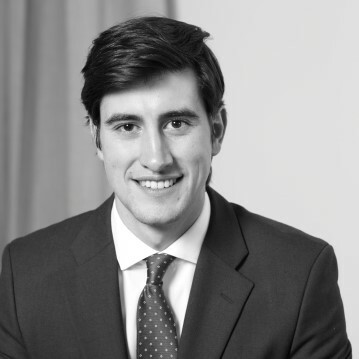 Prior to joining AZ Capital, Víctor worked in Morgan Stanley’s Investment Banking Division in London, where he focused on general M&A and financial institutions. 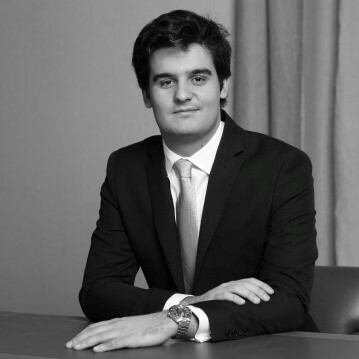 Víctor holds a degree in Civil Engineering from Universidad Politécnica de Cataluña and Master of Science in Management from HEC Business School, Paris. Fernando Sebastián is a partner of AZ Capital. Prior to joining AZ Capital, Fernando worked in BBVA and N+1 Corporate Finance, where he advised on several M&A transactions. Fernando holds a degree in Business Administration from CUNEF, Madrid. Carlos Téllez is a partner of AZ Capital. 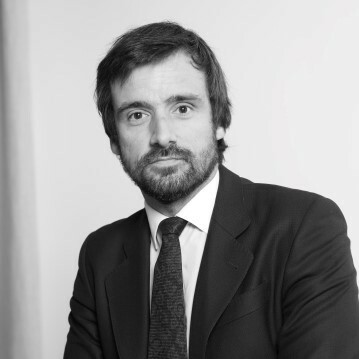 Prior to joining AZ Capital, Carlos worked in Morgan Stanley’s Investment Banking Division in London and Madrid, where he advised on several M&A transactions. He also worked in N+1 advising family offices in corporate transactions. 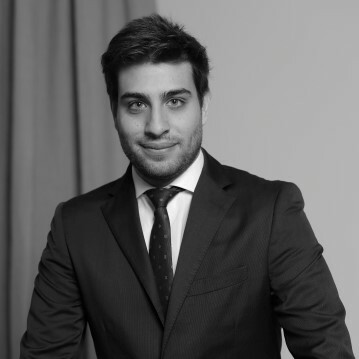 Carlos holds a degree in Business Administration from CUNEF, Madrid. Enrique Ugalde is a partner of AZ Capital. Prior to joining AZ Capital, Enrique worked in AB Asesores Morgan Stanley and N+1 in the Corporate Finance and Alternative Investments divisions. During his career, he has advised in a number of corporate transactions and led investments in several companies. Enrique holds a double degree in Business Administration and Law from Universidad Pontificia de Comillas (ICADE, Madrid). Francisco Boada is a partner of AZ Capital. 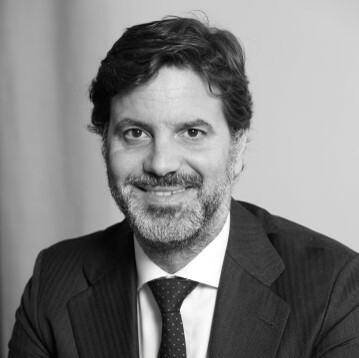 Prior to joining AZ Capital, Francisco worked in Citigroup’s Corporate and Investment Banking Division in London, where he focused on transport and infrastructure companies, and then in Madrid, where he focused on general investment banking. Francisco is an Industrial Engineer from Universidad Politécnica de Cataluña and MBA from Columbia Business School. Javier Juliá is a partner of AZ Capital. Since joining AZ Capital in March 2005, Javier has been involved in transactions in the sanitary, renewable energy, internet and food & beverage sectors. Javier holds a degree in Business Administration from Universidad Pontificia Comillas de Madrid (ICADE). Enrique Salamero is a partner of AZ Capital. 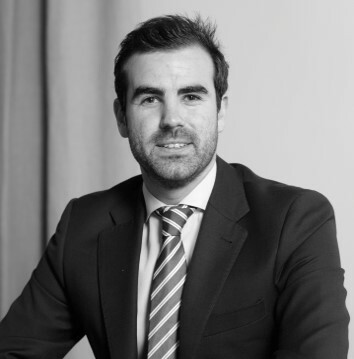 Since joining AZ Capital in September 2006, Enrique has been involved in transactions across a wide range of sectors including, amongst others, infrastructure, energy, restaurant and food & beverages. Enrique holds a degree in Business Administration and Master in Management Development from Universidad Comercial de Deusto. Silvia Collado is a director of AZ Capital. Prior to joining AZ Capital, Silvia worked in KPMG’s Corporate Finance division in Madrid, where she focused on Valuations. 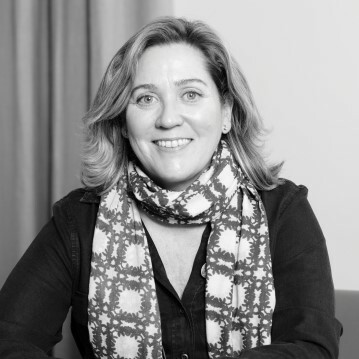 Silvia holds a degree in Business Administration from Universidad Pontificia Comillas de Madrid (ICADE). 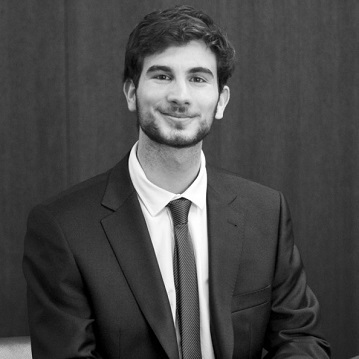 Arnau is an associate at AZ Capital. Prior to joining the company, Arnau worked as a business developer at OCA Group (company holding in the service sector) in the International Division in New Delhi (India). 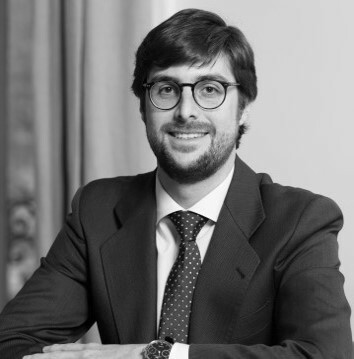 Arnau holds a degree in International Business and Marketing from Universidad Pompeu Fabra and a Master of Science in Managerial and Financial Economics from HEC Business School, Paris. Juan Corbalán is an associate of AZ Capital. Before joining AZ Capital, Juan gained experience working in the M&A department of Uría Menéndez, advising mergers and transactions. Juan holds a double degree in Business Administration (Exceptional Career Award) and Law from Universidad de Valencia. Pablo de Cos is an associate of AZ Capital. 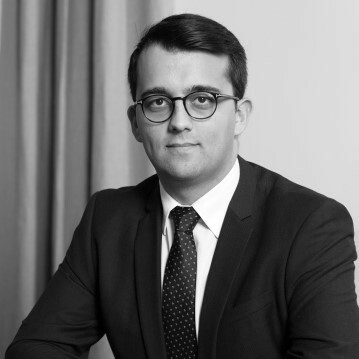 Prior to joining AZ Capital, Pablo gained experience as an assistant in Société Générale in Frankfurt, helping in the administration and valuation of investment fund portfolios. 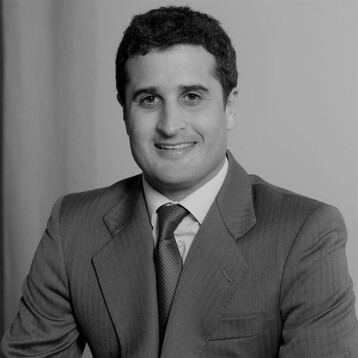 Pablo holds a Double Degree in Economics and Law from Universidad Carlos III de Madrid. Elias works as an associate at AZ Capital. 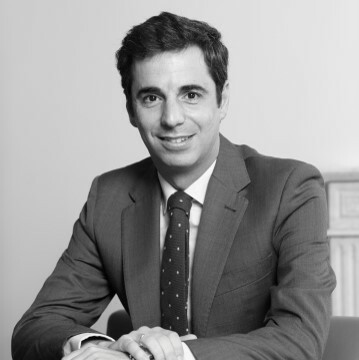 Prior to joining AZ Capital, Elias worked at Nomura’s Investment Banking division in London, focused on M&A in the Consumer & Retail team. Elias also worked at the Strategy group of PwC. Elias holds a degree in Business Administration from the University of Navarra, Pamplona. Ieneko Ortiz is an associate at AZ Capital. Prior to joining the company, Ieneko formed a part of the team of the American fund TPG in London. Previously, he developed his professional career in the investment bank division at J.P. Morgan in London, where he worked in the infrastructure team. 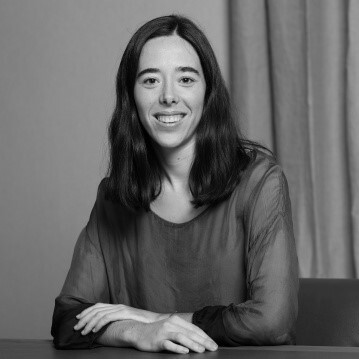 Ieneko holds a degree in Business Administration from Deusto, Bilbao and a Master degree in Finance from ESADE, Barcelona. 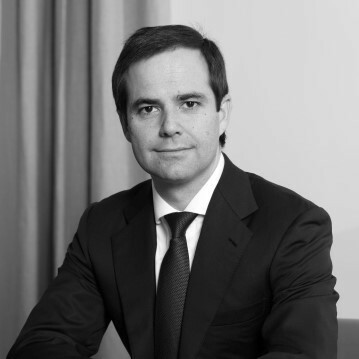 Lluís Huguet is an associate at AZ Capital. 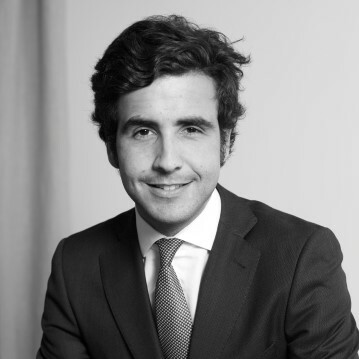 Prior to joining AZ Capital, Lluís gained experience working in a team of investment banking of Deustche Bank in Spain and in a team of Real Estate of Blackstone in London. 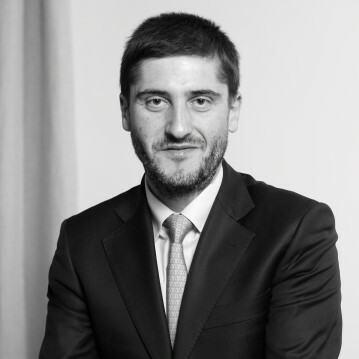 Lluís holds a degree in Civil Engineering from Universidad Politécnica de Cataluña and a Master of Science in Management from HEC Business School, Paris. Santi is an associate at AZ Capital. Santi joined the AZ Capital team as an intern and participated in transactions in the fields of fashion, chemistry and nutrition. Prior to joining the company, Santi worked in NewTech Capital, boutique specialized in fundraising and M&A for technological startups. 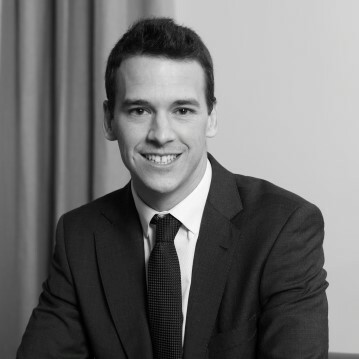 Santi holds a degree in Business Administration and a Master in Finance from ESADE, Barcelona. Joan Tresserras is an associate at AZ Capital. Joan joined the AZ Capital team as an intern and participated in transactions in the fields of telecommunications, energy and food industry. Joan holds a degree in Civil Engineering from Universidad Politécnica de Cataluña as well as a Master degree from Tongji University, Shanghai. Amaia Alcelay is an analyst at AZ Capital. Prior to joining AZ Capital, Amaia gained experience in the management consulting firm The Boston Consulting Group in Madrid. Amaia holds a Bachelor’s and Master’s Degree in Industrial Engineering from Universidad Politécnica de Cataluña and a Master of Science in Management and International Finance from HEC Business School, Paris. Raúl Burgos is an analyst at AZ Capital. He joined the team as an intern and participated in transactions in the telecommunications and education sectors. Prior to joining AZ Capital, Raúl worked in Strategy&, strategy consulting firm of PwC. Raúl holds a double degree in Business Administration and Law from Universidad Pontificia de Comillas (ICADE, Madrid). Adrián Dhanwani is an analyst of AZ Capital. Before joining AZ Capital, Adrián gained experience in the Corporate Finance department at PwC. Prior to that, Adrián worked at Deutsche Bank and at the Bank of Spain. 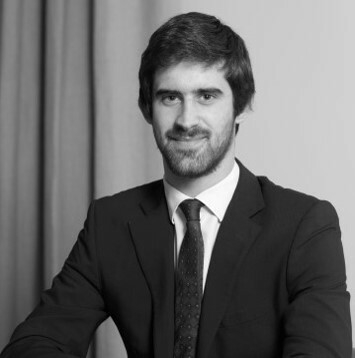 Adrián holds a doble degree in Business Administration and Law from CUNEF, Madrid. Alexandre Díaz Codina is an analyst of AZ Capital. Before joining AZ Capital, Alex gained experience in exchange risk management at Kantox and in financial management at Arkyne Technologies. Alex holds a degree in Business Administration from Pompeu Fabra University, Barcelona. Laura Klimowitz is an analyst of AZ Capital. Before joining AZ Capital, Laura gained experience in the M&A department at Rothschild and in Debt Capital Markets at HSBC, both in Madrid. Prior to that, Laura worked in the Global Clientes department at BBVA Frankfurt. Laura holds a degree in Business Administration with International Mention (E4-Germany) from Universidad Pontificia de Comillas (ICADE, Madrid). Carlos Mata is an analyst at AZ Capital. Prior to joining AZ Capital, Carlos gained experience at Renta 4 Bank, collaborating in investment funds management. 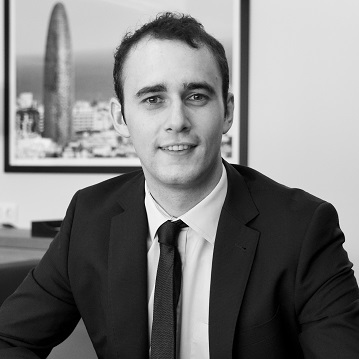 Carlos holds a double degree in Business Administration and Law from Universidad Pontificia de Comillas (ICADE, Madrid). Xavier Queralt is an analyst at AZ Capital. 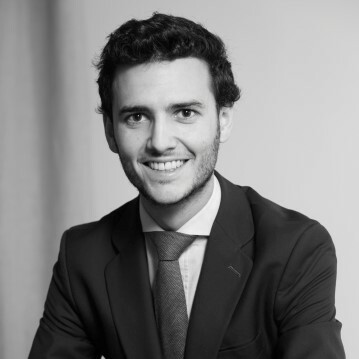 Prior to joining AZ Capital, Xavier gained experience in the corporate development department at N+1 in Madrid and at BNP Paribas in Paris. Xavier holds a degree in Business Administration from ESADE, Barcelona. María Reina is an analyst of AZ Capital. 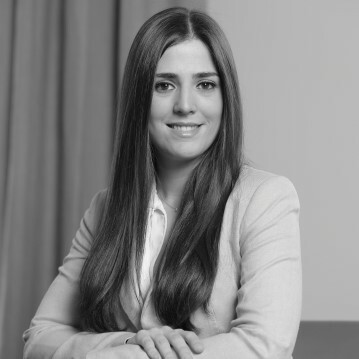 Prior to joining AZ Capital, María gained work experience in investment banking at Stephens Europe in London and at Socios Financieros in Madrid. María holds a Bachelor’s Degree in Electromechanical Engineering and a Master’s Degree in Industrial Engineering, both from Universidad Pontificia Comillas (ICAI, Madrid). Pablo is an analyst at AZ Capital. He joined the team as an intern and participated in transactions in the fields of fashion, telecommunications and energy. 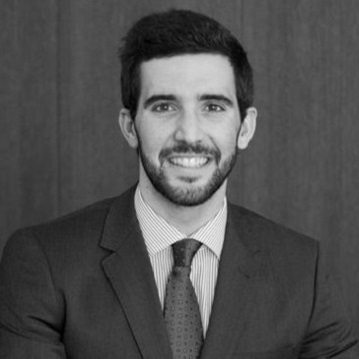 Prior to joining the company, Pablo gained experience in the management consulting company Odgers Berndtson and in the treasury & market services department in the Royal Bank of Canada. 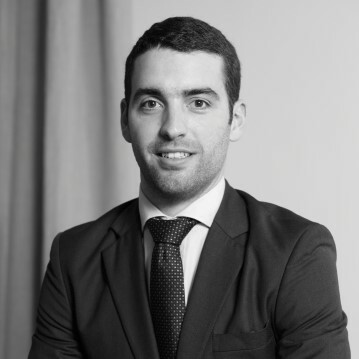 Pablo holds a degree in Business Administration and a Master in CEMS + Finance from ESADE, Barcelona. Laura Veiga is an analyst of AZ Capital. 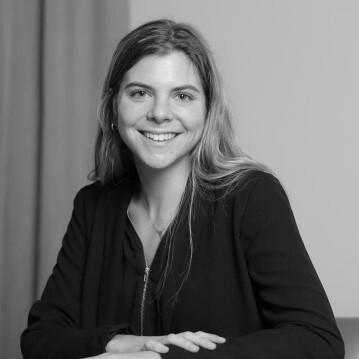 Before joing AZ Capital, Laura gained experience in the Global Markets department at HSBC and in SICAVs management team at BBVA, both in Madrid. 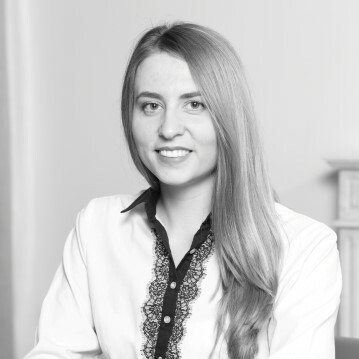 Prior to that, Laura worked in Corporate FX at RationalFX London. 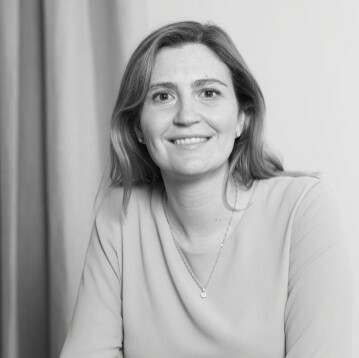 Laura holds a degree in Business Administration from Universidad del País Vasco, a Master of Science in Banking and International Finance from Cass Business School in London and a Master in Portfolio Management from IEB Madrid. Patricia joined AZ Capital in May 2014 from Campofrío Food Group, where she worked as an Executive Assistant to the CEO. 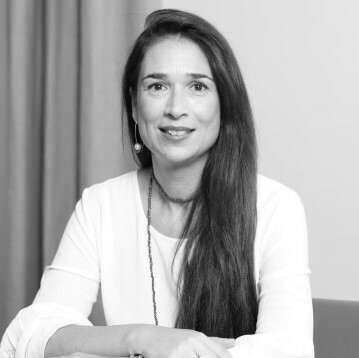 Prior to that Patricia worked for Lehman Brothers in London and as an Executive Assistant to the Chairman of Altadis, S.A.
Patricia holds a diploma on International Secretarial Studies from Mary Ward College and in Gemology from the Spanish Institute of Gemology. Victoria joined AZ Capital in 2015. 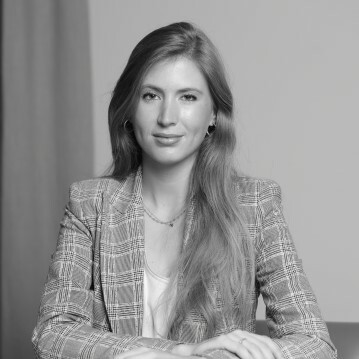 Before joining AZ Capital, Victoria worked as a PR and Communication assistant for Fujitsu, Junior Account Executive in Burson-Marsteller Barcelona and collaborated with the Red Cross Youth in Moscow. Victoria holds a Bachelor degree in Economics from Russian Economic University named G.V. Plekhanov (Moscow), a Masters degree in International Business from EAE Business School (Madrid) and a Masters degree in Communication, PR and Marketing from ESERP (Madrid). Sílvia joined AZ Capital in 2015. Before joining AZ Capital team, Sílvia worked for Montblanc Iberia as a General Service Manager. Prior to that, Sílvia worked for Schneider Electric España as a Reception Manager. Sílvia holds a diploma on Secretarial Studies from C.E.P. Monlau. Sandra joined AZ Capital in 2018. 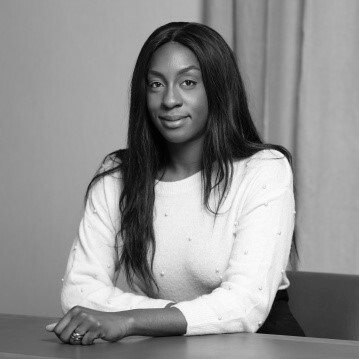 Before joining the team, Sandra worked as a receptionist at Selfridges London and as a customer service representative at Pedro Garcia in Madrid. Sandra studied Tourism and Travelling management at Westminster Kingsway college London. Currently studying Business Administration and Finance at IFP Madrid.